Physical training is a critical aspect of a racing driver’s life. Good physical fitness can make the difference between a driver who is hanging on for the last few laps of a race, and a driver who is able to push on at the end of a race. This is the reason that Pro Performance have developed the most creative and innovative sport-specific environment any racing driver could wish to train in. Our physical training is highly structured and based upon the results gained from our scientific assessments. We follow a strict ‘Periodisation’ plan of training, which means that we construct our sessions depending on the phase of the season we are in, as well as around the areas a driver needs to improve the most. For example, leading up to the first race of the season our sessions will include more sports specific exercises such as reaction training, core stability and neck strength. During the Winter/off-season we might concentrate more on developing stamina and general strength. 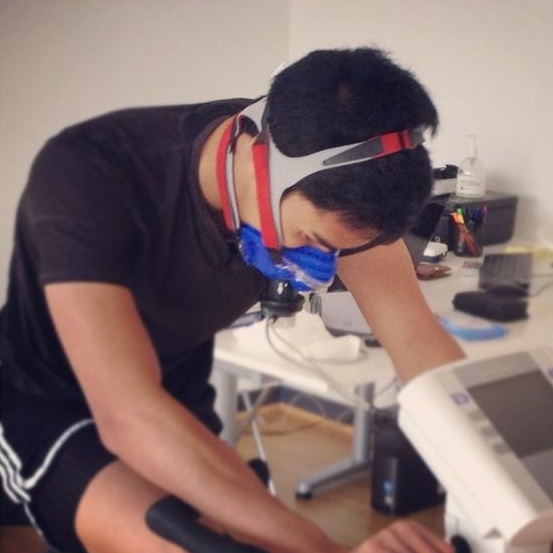 To improve VO2 max (aerobic endurance) we structure training sessions using very specific heart rate thresholds obtained from regular blood lactate tests. Exercises include running, rowing, cycling and circuits, always using a heart rate monitor. We feel this is a key element of any drivers fitness. We at Pro Performance use training ropes, kettle-bells, suspension trainers, power bags and medicine balls combined with a number of innovative and clinically proven training methods to get the specific results a driver needs. We have developed some incredibly effective bespoke drills to enhance speed and reactions, including Batak training, reaction ball drills and multi-directional speed and agility exercises. When a split second really counts you need to know you are ready. Good functional movement is the foundation to an injury free and highly skilled athlete. Pro Performance minimises injury risk and maximises performance by improving individual’s specific movement weaknesses and highlighting their strengths. Included in our approach we use a neck strengthening machine and a resisted steering wheel. When drivers have a need to increase muscle mass and leg power (for example when progressing to a higher formula), we incorporate a detailed and individual power programme. A combination of Olympic lifts, power bags and whole body movements such as plyometrics are included to make sure lean weight gain and power output is achieved within a set timeframe.